Vigil Light: This week vigil light is offered to God’s glory by the Ivantsiv family for all deceased members of the Harvey Family. Asleep in the Lord: Juris Patrylak fell asleep in the Lord. Please remember him in your prayers. ETERNAL MEMORY! Rectory Office: will be closed from Monday March 4 until Friday March 8. Fr. Iura will be away for the eparchial clergy retreat at Mount Alvernia Retreat Center, Wappingers Falls, NY, with Bishop Paul. Luncheon/Fundraiser honoring Iryna Friz, Ukraine’s Minister of Veterans Affairs Ukrainian American Veterans of Posts 3,14 of Connecticut and Saint Michael’s Ukrainian Catholic Church in New Haven invite everyone to a luncheon/fundraiser honoring Iryna Friz, Ukraine’s Minister of Veterans Affairs to be held TODAY in St. Michael’s church hall. Minister Friz arrived in Connecticut on Saturday, March 2 to visit the Veterans Hospital in West Haven, the New Haven VETS Center in Orange, and the CT Veterans Home in Rocky Hill. She returns to Ukraine on Monday, March 4. TODAY, there will be only one Divine Liturgy beginning at 10:30 a.m. The luncheon/fundraiser will begin at 12:00Noon. in St. Michael’s church hall. In addition to lunch, a brief concert will be presented. Brief remarks by Minister Friz will follow. There will be an update on the Wounded Ukrainian Soldiers Project and on the veterans’ recent trip to Ukraine. All proceeds will be used to benefit Ukraine’s wounded soldiers and veterans. Tickets are $25.00 per person. Admission for youth under 18 is free. We invite everyone to this special event. We ask for your support for Ukraine’s wounded heroes. For information and tickets please contact Fr. Iura Godenciuc at 203-865-0388, Post 33 Commander Carl Harvey by calling 203-389-6076; email: carlharvey79@gmail.com, or Myron Melnyk 203-397-2087; email: mmelnyk@yaghoo.com. MEETING CANCELLATIONS: Due to various scheduling conflicts of members being in Washington and others being out of state, as well as Father Iura being at a mandatory Eparchy retreat days, both the Parish Council meeting and the Knights of Columbus meeting on March 4, are hereby canceled. SESTRECHI: The next monthly meeting of the Sestrechi will be held on March 10. The meeting will be held in Classroom 1 after the 9:00 a.m. Divine Liturgy. Sorokousty (All Souls’ Saturdays) will next be celebrated on March 16, March 23, March 30, and June 8. Please take a book found in the entrance of the church, fill it out, place it in envelope, and drop it in the collection basket. As a reminder, tomorrow, Cheesefare Sunday, March 3, there will be only one (1) Divine Liturgy in English and Ukrainian at 10:30 a.m.
2 – Forgiveness Sunday because the Church celebrates Forgiveness Vespers, asking for mutual forgiveness as we enter upon the journey of Great Lent. 3 – Sunday of the Casting out of Adam and Eve because during the Holy Season of Great Lent we live is remembrance of our sins and of death which resulted from the fall of our first parents. The luncheon/fundraiser will begin at 12:00 Noon. in St. Michael’s church hall, 569 George St., New Haven. In addition to lunch, a brief concert will be presented. Brief remarks by Minister Iryna Friz will follow. There will be an update on the Wounded Ukrainian Soldiers Project and on the veterans` recent trip to Ukraine. All proceeds will be used to benefit Ukraine’s wouded soldiers and veterans. Tickets are $25.00 per person. Admission for youth under 18 is free. George Weigel published today in First Things his essay, “Homecoming,” on Archbishop Borys Gudziak’s recent appointment to be the Metropolitan Archbishop for the Ukrainian Archeparchy in Philadelphia. Weigel is the author of the well regarded biography of Pope John Paul II. He is Distinguished Senior Fellow of Washington, D.C.’s Ethics and Public Policy Center, where he holds the William E. Simon Chair in Catholic Studies. VIGIL LIGHT: This week vigil light is offered by Godenciuc family for Special Intention. STEWARDSHIP COUNCIL will be meet on Monday, March 4, at 6:00 p.m. in the Holy Name Room. All council members, organization representatives and interested parishioners are invited. KNIGHTS OF COLUMBUS: The next meeting of the Blessed Metropolitan Andrey Sheptytsky Ukrainian Council will be held on Monday, March 4, at 7:00 p.m. in the Holy Name Room. All men of the parish are invited to attend. THANK YOU to Laura Smith, Anya Rohmer-Hanson and Peter Silva for facilitating the Loaves & Fishes Clothing Drive. Your leadership helped to make this a successful event. Ukrainian American Veterans of Posts 3,14 of Connecticut and Saint Michael’s Ukrainian Catholic Church in New Haven invite everyone to a luncheon/fundraiser honoring Iryna Friz, Ukraine’s Minister of Veterans Affairs to be held on Sunday, March 3rd, in St. Michael’s church hall. Minister Friz will arrive in Connecticut on Saturday, March 2nd to visit the Veterans Hospital in West Haven, the New Haven VETS Center in Orange, and the CT Veterans Home in Rocky Hill. She returns to Ukraine on Monday, March 4th. On Sunday March 3rd, there will be only one (1) Divine Liturgy beginning at 10:30 a.m. The luncheon/fundraiser will begin at 12:00 Noon. in St. Michael’s church hall, 569 George St., New Haven. In addition to lunch, a brief concert will be presented. Brief remarks by Minister Friz will follow. There will be an update on the Wounded Ukrainian Soldiers Project and on the veterans` recent trip to Ukraine. All proceeds will be used to benefit Ukraine’s wouded soldiers and veterans. Tickets are $25.00 per person. Admission for youth under 18 is free. 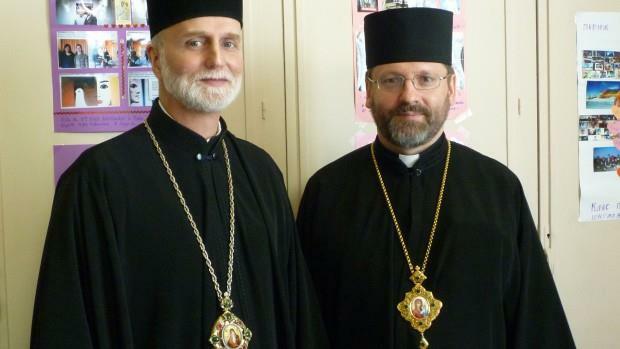 On February 18, the Holy See announced that Pope Francis, accepting the recommendation of the Synod of Bishops of the Ukrainian Greek Catholic Church (UGCC), has appointed Bishop Borys Gudziak as Metropolitan and Archbishop of the Ukrainian Catholic Archeparchy of Philadelphia. For the previous six years Bishop Borys was eparch of the Eparchy of St. Volodymyr in Paris, serving the Ukrainian Greek Catholic faithful in France, Belgium, the Netherlands, Luxembourg, and Switzerland. We asked him to describe his reactions to the nomination, summarize the years of his service in the Paris Eparchy, and articulate his hopes and dreams for a new mission in the land of his birth. What was your reaction to the decision of the Synod and of the Holy Father nominating you to the Philadelphia Archeparchy? Allow me to be open with you. The nomination—and everything that it entails—provokes deep thoughts and sentiments. The first is gratitude and first to God. On Monday, February 18th, 2019, the Vatican Information Service announced that the Holy Father has appointed Most Rev. Borys Gudziak as Archbishop of Philadelphia for Ukrainians and Metropolitan for the Ukrainian Catholic Church in USA and thus concurring with the recommendation of the appointment offered by the Synod of Ukrainian Catholic Bishops, which met in September of 2018 in Lviv, Ukraine. The Archeparchy of Philadelphia was declared by Pope Francis as “sede vacante” following the resignation of Most Rev. Stefan Soroka on April 16, 2018. Most Rev. Andriy Rabiy was named by Pope Francis as the Apostolic Administrator of the Ukrainian Catholic Archeparchy of Philadelphia until the appointment of the new Metropolitan-Archbishop. At the present time Most Rev. Borys Gudziak serves as the eparch of St. Volodymyr the Great Ukrainian Catholic Eparchy, which includes France, Belgium, the Netherlands, Luxemburg and Switzerland. He is the founder and president of the Ukrainian Catholic University in Lviv, Ukraine. In addition, Archbishop Borys is the head of Department of External Church Relations of the Ukrainian Catholic Church. Bishop Andriy Rabiy, Apostolic Administrator, Bishop John Bura, Auxiliary Bishop, clergy, monastic orders and faithful of the Archeparchy of Philadelphia wholeheartedly and joyfully welcome the news and invite everyone to the installation of Most Rev. 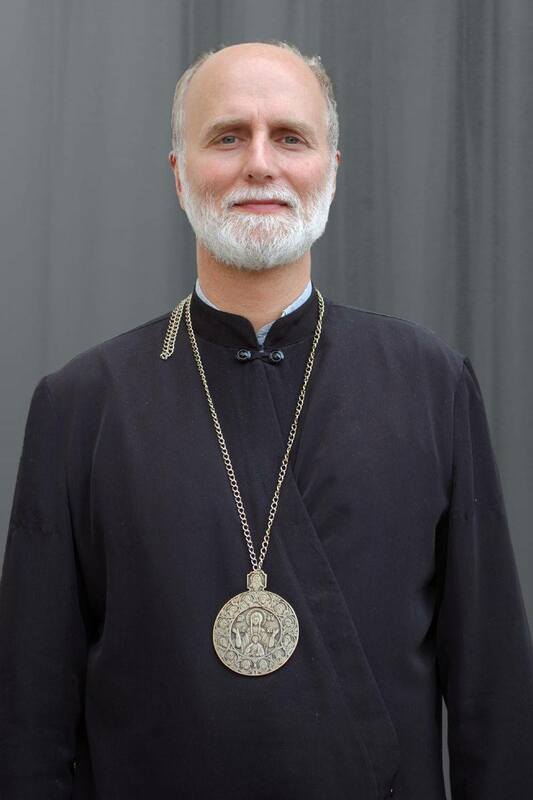 Borys Gudziak as the seventh Metropolitan-Archbishop for the Ukrainian Catholic Archeparchy of Philadelphia, which will take place on Tuesday, June 4, 2019, at the Ukrainian Catholic Cathedral of the Immaculate Conception in Philadelphia, PA.
VIGIL LIGHT: This week vigil light is offered to God’s glory by Chris Komondy in memory of all the deceased of family. If you would like to bless your house fill the form that is in the vestibule, drop it in the collection basket during the Divine liturgy, or call the rectory (203) 865-0388. The Ukrainian National Women’s League of America Branch 108 New Haven and St. Michael Parish will be preparing a Prosphora, a traditional Ukrainian Christmas meal, on Sunday, January 27, TODAY, after the only one Divine Liturgy at 10:30. Tickets are $20.00 for adults, free for students Ridna Shkola and altar boys. We will be running a raffle. Please donate items for raffle and cakes for desert. Tickets are on sale in the church hall every Sunday after both Divine Liturgies. You can buy tickets from Luba Dubno or members of UWLA Branch 108. STEWARDSHIP COUNCIL: The next Stewardship Council meeting will be held at 6:00 p.m. Monday, February 4, in the Holy Name Room. All council members and organization representatives are invited: Natalie Chermak, Nataliya Lyalka, Andrew Bamber, Anna Salemme, Walter Ushchak, Chris Komondy, Halya Lodynsky, Marybeth Gawron, Christine Melnyk, Myron Melnyk, Maria Antonyshyn, Mary Muryn, Carl Harvey and Paul Zalonski. KNIGHTS OF COLUMBUS: The next meeting of Knights of Columbus Blessed Metropolitan Andrey Sheptytsky Ukrainian Council will resume on February 4, 7:00 p.m. in the Holy Name Room. All men of the parish are invited to attend. The organizational meeting of the newly formed Facilities Maintenance Team of St. Michael’s Ukrainian Catholic Church took place on Friday evening, January 18th. The schedule of work sessions was also established for the entire year so that plans can be developed for doing all the projects and arrangements made for the purchase of required supplies and equipment. Once the projects have been determined and prioritized, the group will spend the rest of this “meeting” beginning to work on the first project. The usual time frame for the work sessions will run from 6:30 to about 9:30 p.m. There will be occasions when it is necessary to work later than 9:30 to complete some of the projects. SUMA Federal Credit Union will now be open on Thursdays 9:30 a.m. to 2:30 p.m. The hours for Tuesday and Saturday remain the same. Tuesday 3:00 p.m. to 7:00 p.m.
Saturday 9:00 a.m. to 12:30 p.m.
Prosphora (Christmas Eve dinner) will take place after Sunday 10:30 Divine Liturgy on January 27. There will be a delightful performance (Vertep) and kolyada, caroling. Please come and share friendship. Tickets at the door (or at credit union on Saturday).